A puff-back occurs when a furnace misfires and pushes smoke and soot throughout a home. This Rensselaer County, NY home experienced a puff-back this spring and the walls and ceilings needed to be deep cleaned. The aftermath of a malfunctioning furnace puff-back can leave walls, ceilings, carpets, furniture, drapes, and contents coated with a film of smoke and soot, sometimes throughout an entire home. 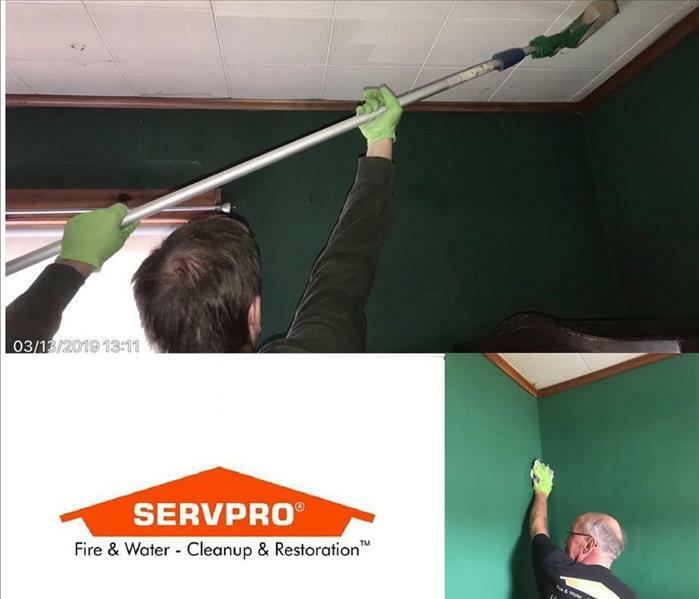 SERVPRO of North Rensselaer/South Washington Counties uses similar methods and cleaning products for a puff-back used in cleaning a fire damaged home. This Rensselaer county residence suffered from soot damage to their home from a malfunction in their furnace. 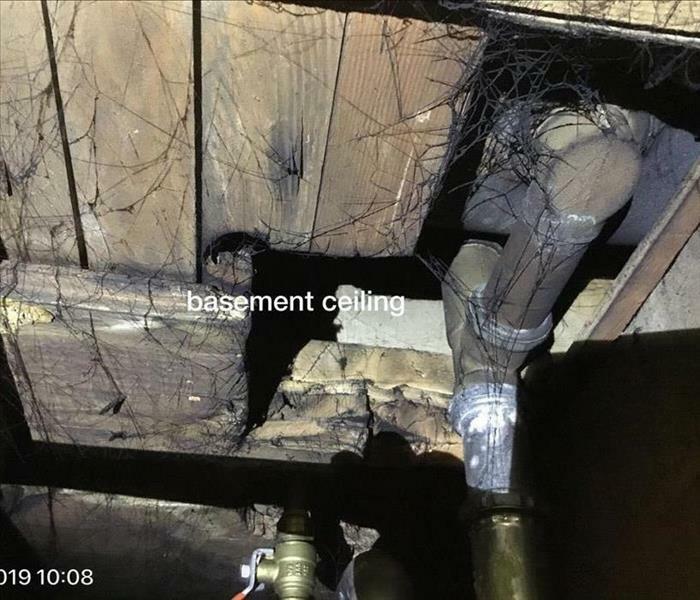 This is what we call a “puffback.” These webs look a lot like cobwebs or spider webs that formed in corners of the basement, but are actually not related to cobwebs at all. These webs are called soot webs and form when ionized soot particles stick together in chains. The safety of our employees and customers is our top priority at SERVPRO North Rensselaer/South Washington Counties! PPE should be worn when handling any hazardous materials. 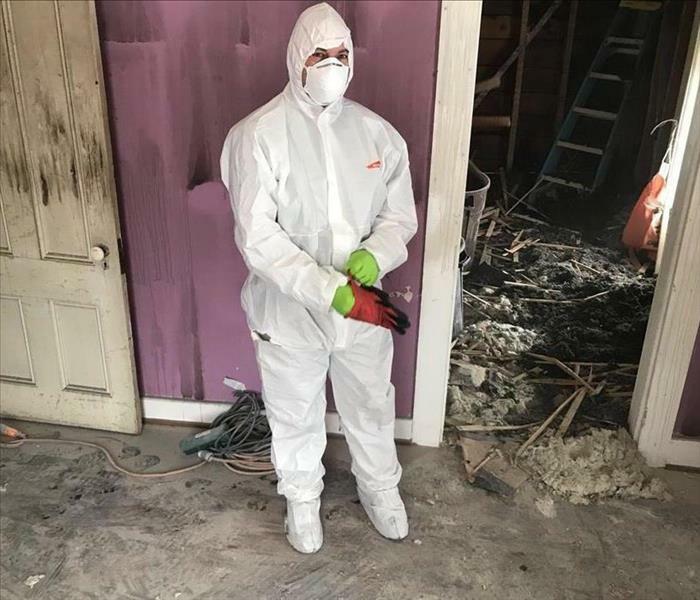 In this case, our technician was called to a fire clean up and is wearing PPE to protect themselves during the demolition on this job site. As spring approaches, the days are getting longer and the temperatures are warming up. Although this time of year is nice and refreshing, it is the perfect environment for flooding from the combination of the increase in rain showers and the snow melt from the warmer temperatures. 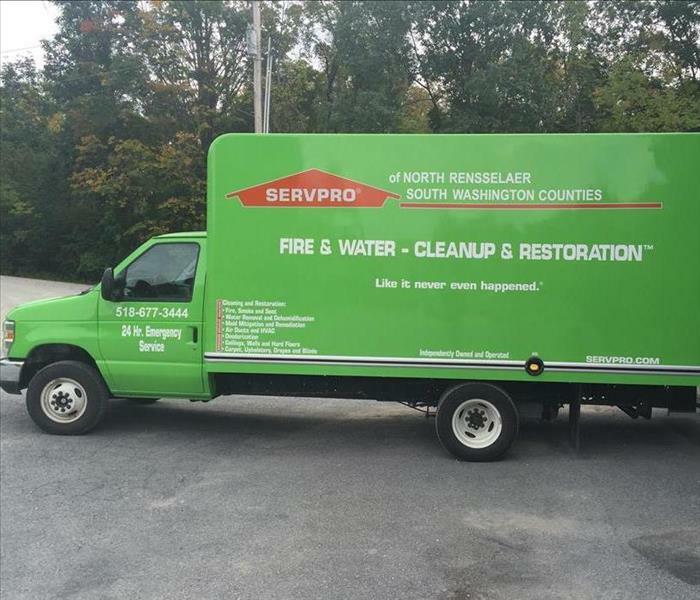 SERVPRO of North Rensselaer/South Washington Counties is always here to help with any of your residential or commercial water damage needs. 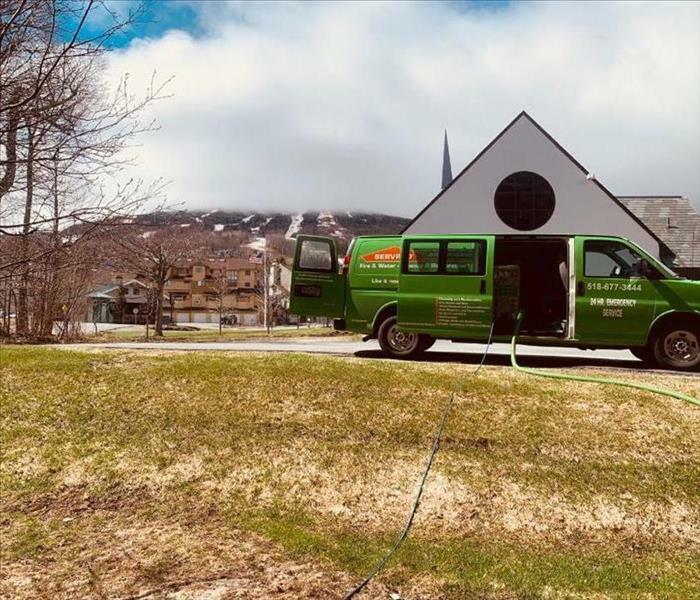 No Job Too Big or Too Small for SERVPRO! After a severe cold spell and the pipes broke in this secondary home, it created the perfect environment for mold growth. Mold thrives on moisture and quickly grows into colonies when exposed to water. 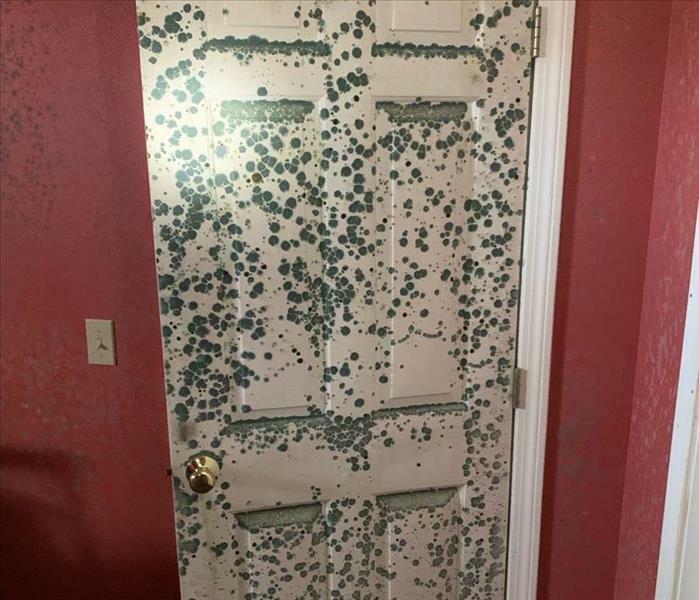 When the homeowners arrived to check on the home this spring, they found the home covered in mold. A minor mold problem can quickly become a major infestation if left untreated. 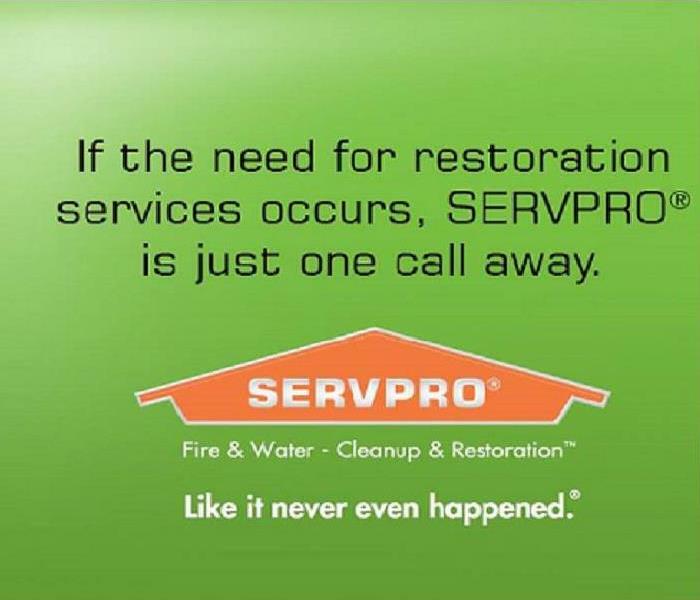 SERVPRO of North Rensselaer/South Washington Counties is just one call away! 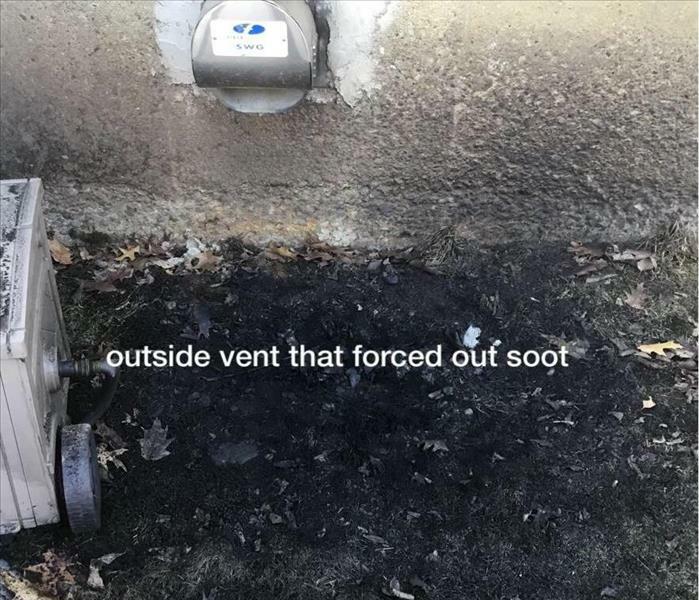 When a furnace backed up in the basement of a North Rensselaer County home, the outside vent forced soot and smoke onto the lawn of the home. The smoke odor in the home needed to be treated with a deodorization method called thermal fogging and all the laundry was washed for the homeowner to help remove the smell. With all of the snow we got this winter and the fluctuation in the temperatures, many NY and VT residents experienced ice dams. This photo is an example of water damage from an ice dam where the water traveled through the window, due to the backup of melting water from ice on the roof. 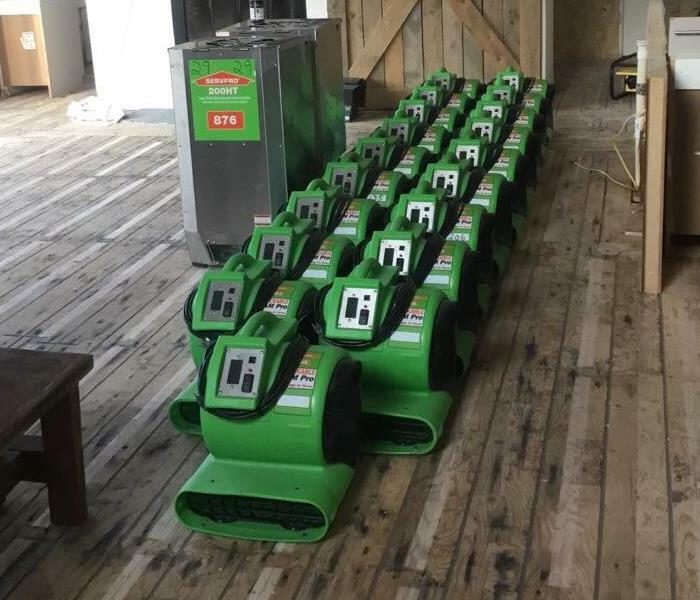 When SERVPRO of North Rensselaer/South Washington Counties was called to a Rensselaer, NY home that had significant mold contamination in the basement, our trained professionals sprayed the basement with antimicrobial solution to help prevent future mold growth. Mold thrives in an environment with moisture. 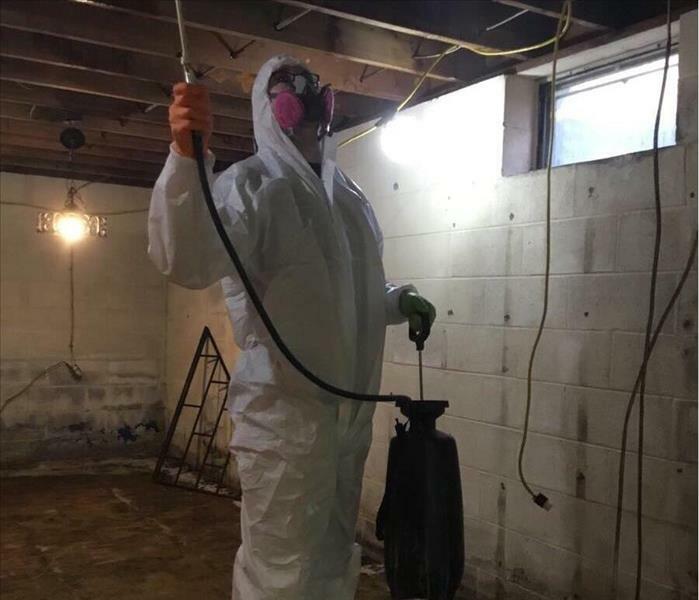 If you have a mold problem, call us at (518)677-3444 to begin the remediation process! 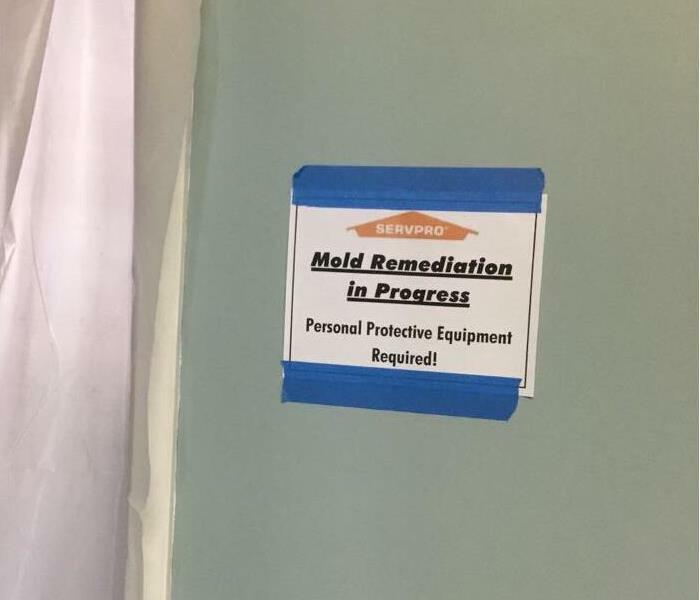 These signs are one of the many safety measures we used during a recent commercial mold remediation job. We use personal protective equipment (PPE) when working with hazardous materials, such as mold. These signs ensure the safety of others by making them aware that PPE is required if you need to go through these areas. The fire at this home was caused by an electrical fire. 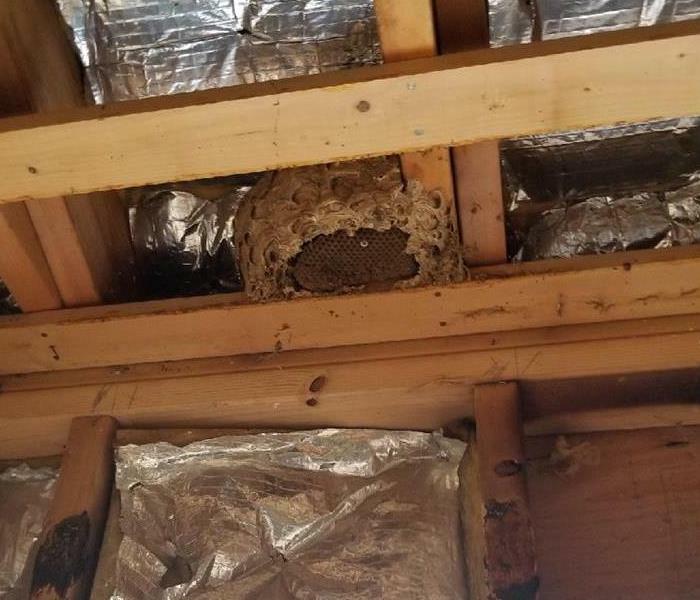 We removed the charred ceiling to expose the studs behind for any cleaning that may be needed, and came to find this large beehive! Soda blasting is a process in which sodium bicarbonate is applied against a surface using compressed air. 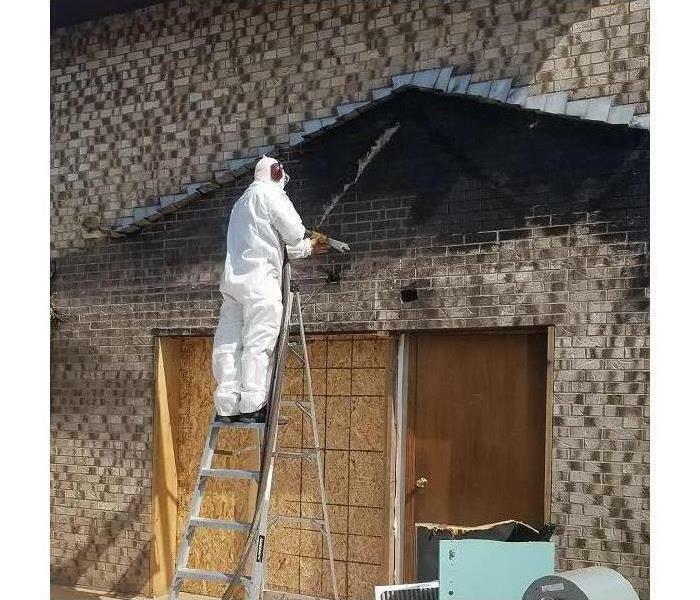 Soda blasting is a non-destructive method for many applications in cleaning, paint & varnish stripping, automotive restoration, industrial equipment maintenance, rust removal, graffiti removal, oil removal, and in this scenario soot remediation. We try to explain to our customers the importance of fixing the cause of water intrusion before mitigation begins. Most insurance companies do not pay for secondary mitigation when initial mitigation has already been started. This job site did not have their source properly fixed causing even further damage. Have you ever wondered how we are able to remove that stubborn smoke smell out of a fire damaged home? One of the many ways we remove those smells after fully cleaning the structure is by using a hot thermal fog. This deodorization process recreates the fire in the home using a deodorizing fog using solvent cleaning agents to remove those stubborn smells in a home and get into all the pores of the materials of the home to remove the smells we cannot remove by just cleaning. Thermal fogs are pairing agents, meaning they chemically react with odors and residues and eliminate odors rather than just masking them. This process is very effective for deodorizing a fire damaged home. Water extraction is key in drying out and saving carpet in any structure. If the water is not extracted properly and in a certain amount of time it may not be able to be saved due to delamination and bacteria growth. By using a truck mounted extraction machine we were able to extract this carpet thoroughly and in a sufficient amount of time. Due to the extraction we are able to remove 80% of the water from the carpet and then set up drying equipment to dry the last 20% that cannot be extracted. 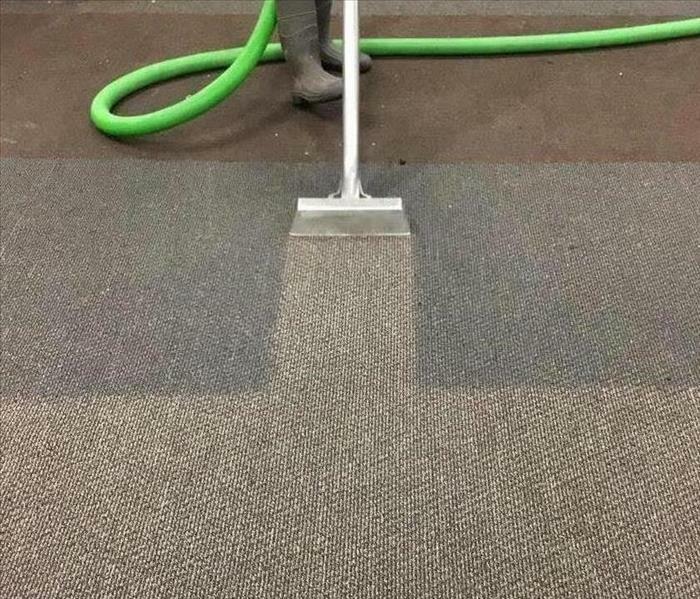 This allowed us to reduce dry time and save the carpet in this commercial water loss. 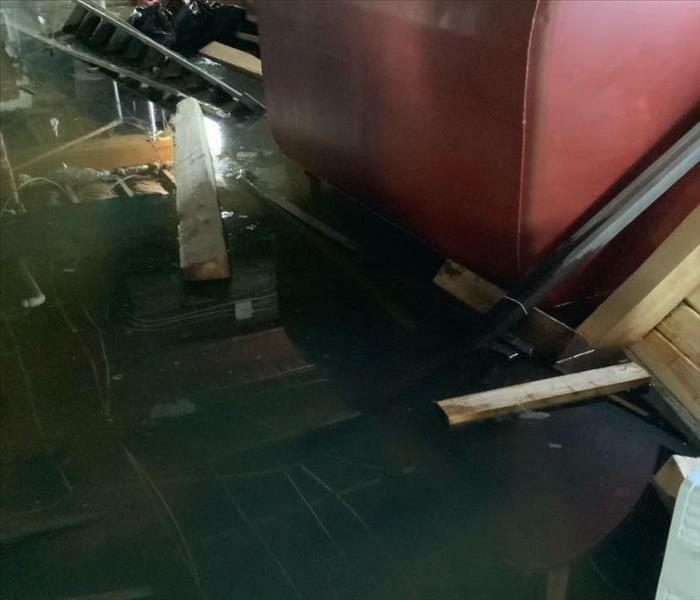 A third floor Jacuzzi tub supply line froze and flooded an entire home. 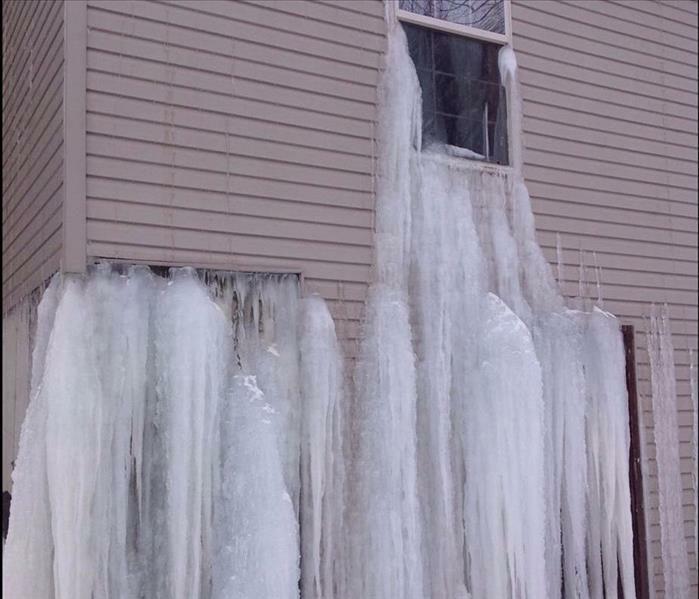 With so much excess water, it found its way through the eaves to the outside of the house and froze do to the extreme cold. The ice started almost 20 feet off the ground and was about 3ft thick in some areas! This photo was taken in a vacant house that had been left sitting for 2 years. 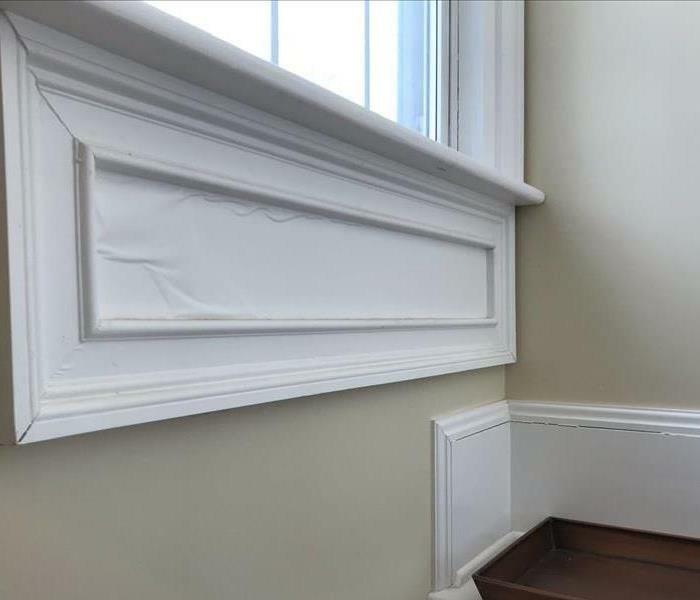 When the new homeowners took it apart, it was discovered that water had been leaking in through the windows, and the wood was rotting. Good thing we were there to help! 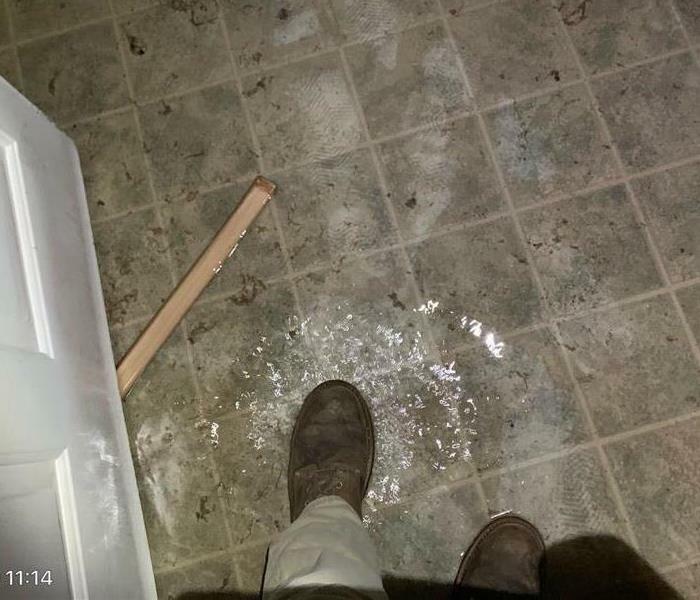 After a pipe burst in a Vermont home, the water froze under the house due to extremely low temperatures. We were able to use an outside heating source which melted the ice, and we were able to dry the sub-floor. Due to an electrical shortage, this family's home was damaged by a fire. We worked quickly and efficiently, and were able to salvage the home. After our cleaning was complete and rebuild was done, they were able to move back into their home.